The Sandman’s Orchestra: “The Ninth Wave” – extraordinary, mystic and ultimately epic! September 2018 marked the 33rd anniversary of the release of Kate Bush’s seminal album “Hounds of Love”. The album has been cited by numerous musical publications and artists as a trailblazing and influential work that had echoed throughout many artists’ creations over the past thirty three years. Many have tried to imitate the album in sound and themes but none have surpassed the brilliance of Bush’s glorious work…or have they? There is an inherent dichotomy to “Hounds of Love” and it has a definite split personality. The first side is the most approachable yet contains numerous deep and esoteric themes. It examined many Freudian themes, the relationships of parents and their children, anxiety, Eros, ecstasy and nature. The second side would be more ambitious and more difficult for the less adventurous listener to grasp. The second side, titled “The Ninth Wave” is beyond almost anything attempted at the time. Cohesive and evocative it dealt with death and the unimaginable. Where the first side was life and Eros, “The Ninth Wave” is Thanatos and facing eminent death; the loss of control. The Ninth Wave is extraordinary, mystic and ultimately epic. As the lead singer of the atmospheric folk duo from Lille, France – The Sandman’s Orchestra – gently hovers in with the opening lines to “And Dream of Sheep”: “little light shining, little light will guide them to me,” you realize that this project is affronting an ambitious creative task, with all the passion and consideration possible. The feeling of being lost at sea and struggling to survive armed with only a life-jacket and a little survival flashlight is beautifully conveyed by singer, with even a pinch more of melancholy than the original. 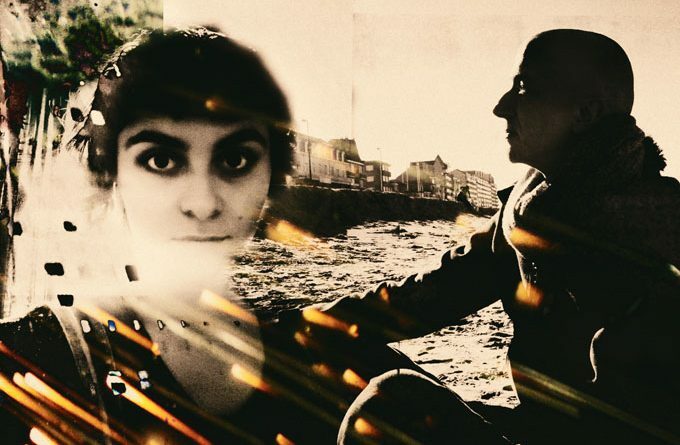 Considering the current technology at hand, The Sandman’s Orchestra could so easily just have mimicked the pieces to great glossy effect, but multi-instrumentalist and producer Pierre Laplace, and singer Léonie Gabriel chose to add new their personal dynamics, tones and nuances to a seminal work. Creating a new narrative to Bush’s established events. The dark, strident piano and insidious orchestration of “Under Ice” depicts the narrator struggling to not succumb to the water and ice of the North Sea. Like a struggle for sanity and calm in an unthinkable situation “Wake the Witch” is orchestrated with sounds and voices that depict a fight against our inner demons. This is an excellent arrangement which sonically surpasses the original. The atmosphere is completely harrowing. “Watching You Without Me” conveys the feeling of resignation and sadness: “Can’t let you know what is happening. There’s a ghost in our home, just watching you without me.” Léonie Gabriel’s voice is as close to sublime as it gets, as she understatedly runs the range with it. “Jig of Life” again showcases Pierre Laplace’s instrumentation, arranging and production skills in an intense song that narrates new hope. In the original, “Hello Earth” was intended to signify an otherworldly, out-of-body experience, like looking at one’s self from above. This was one of the most beautiful tracks on Kate Bush’s album for me, and it remains as such on The Sandman’s Orchestra’s “The Ninth Wave”. Léonie’s vocals are heart-stoppingly stunning, and Laplace’s music sprawlingly magnificent. Initially “The Morning Fog” conveys a feeling of survival and a restrained joy, like “being born again” after a tragic event. But there is a twist in the tail as the music suddenly begins to play backward…survival or peril? What will the narrator’s final outcome be? 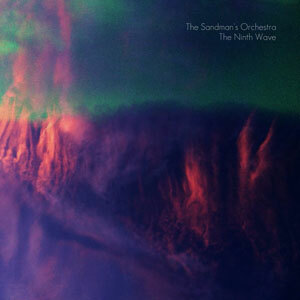 I don’t know if The Sandman’s Orchestra’s “The Ninth Wave” is the perfect cover album. I wouldn’t want to be as arrogant or pretentious to claim such, but there are few, if any, more thrilling, and ambitious works of independently produced music that can compare to this, which I have heard in the last decade. It is hard not to be spellbound by it, and these two tremendously talented and passionate artists. Greg Herriges: “Revel & Ritual: Holiday Music for the World” – a treat for the ears!